Ice Disks (a.k.a. 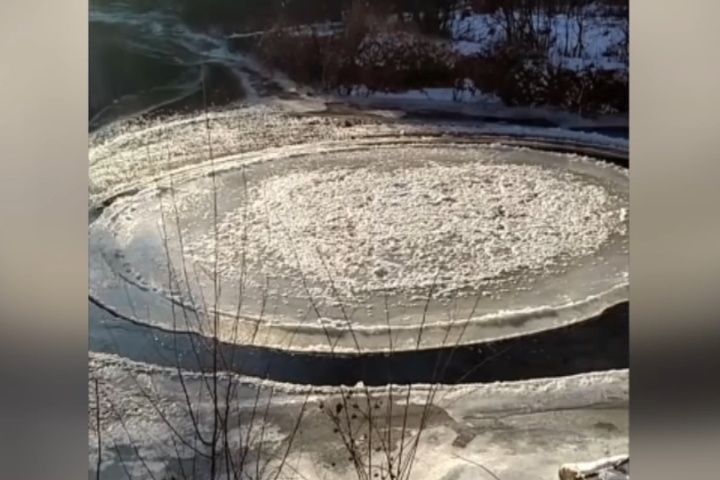 Ice Circles) – personally, these are my favorite natural ice wonders, though I have not seen one to date in person. Their uncommon formation and subtle counter-clockwise rotation are quite mesmerizing. 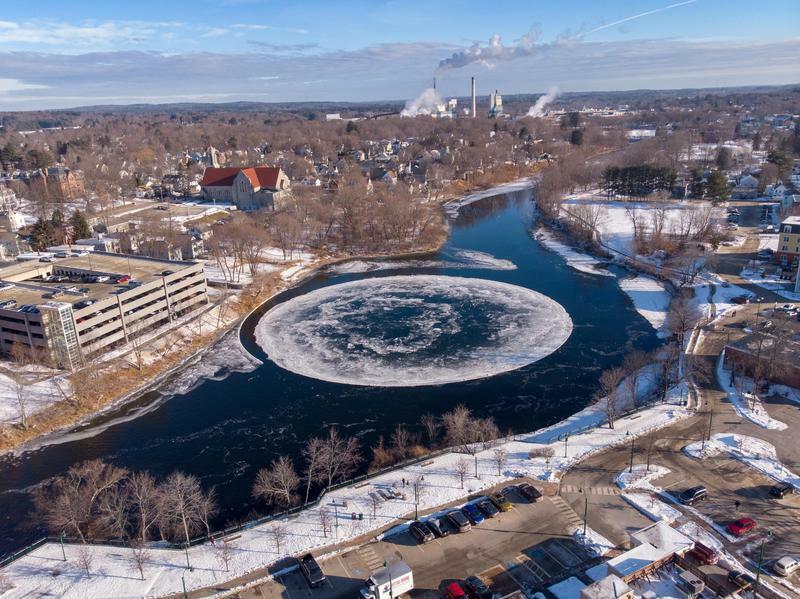 At the beginning of this post is a photo of an ice disk that formed just this past week in Gladwin, Michigan and below is the well-known 300 foot wide monster that developed several weeks ago in Westbrook, Maine. 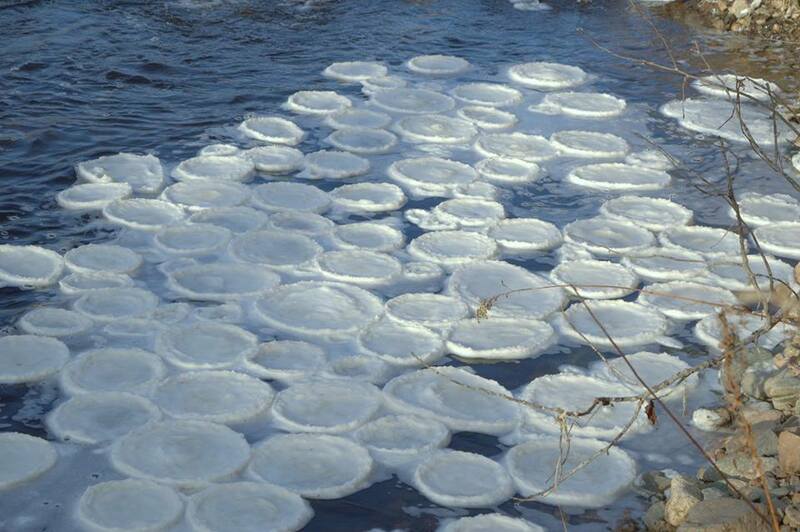 Ice Pancakes – a smaller scale version of Ice Disks, these almost look like scales or frozen lily pads on the water. Sometimes they cover a small area of water as shown below, while at other times they can span a much greater surface area. According to weather.com, ice pancakes range between one (1) and ten (10) feet in diameter. 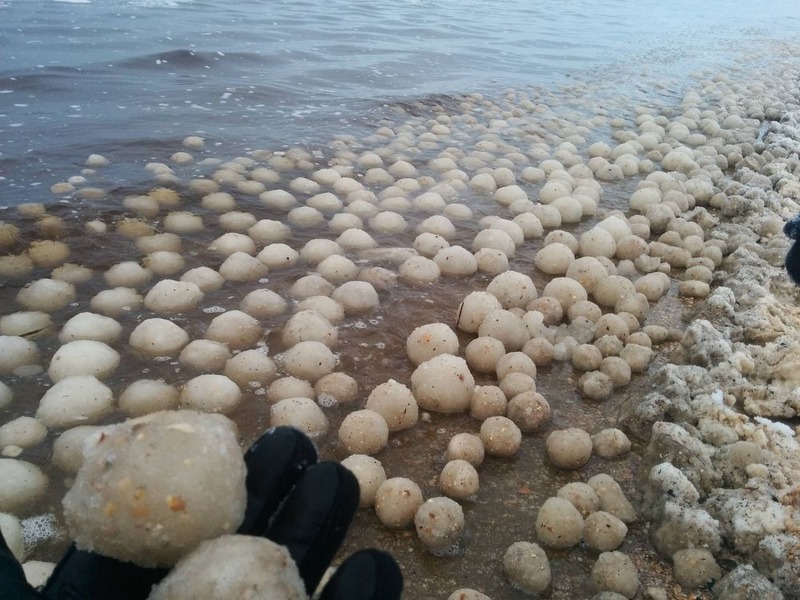 Ice Balls/Boulders – most often formed by wave action, these spherical orbs bounce around in frigid waters, sometimes freezing in place and other times melting away with the arrival warmer temperatures. Ice Caves – Ice caves do not form every year, though the further north one travels here in the Great Lakes Region, the more likely they are to occur. Development of ice caves largely depends on temperatures, snowfall, and the extent of ice coverage on the lake’s surface. Visiting ice caves can be a daunting and dangerous endeavor, especially when they are situated offshore. All due caution should be used if one intends to visit an ice cave, regardless of where it is located. Icicles – the most commonly recognizable form of ice formation, icicles often harken us back to childhood with their smooth and crystalline appearance. As the weather warms, they will lengthen and grow from the dripping water only to eventually break or fall to the ground. 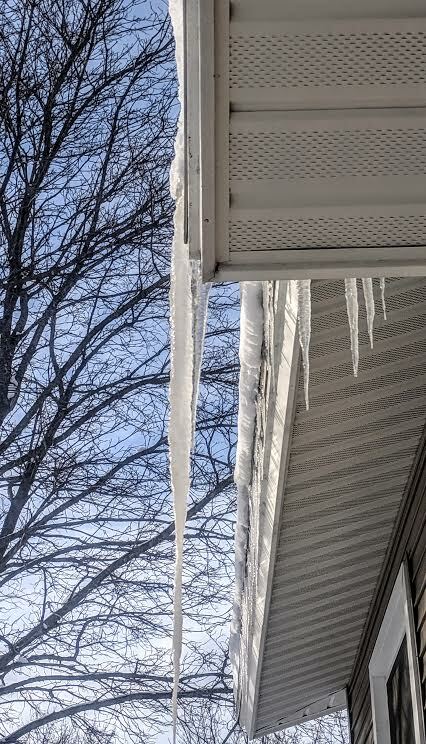 Some caution is also due, as icicles can be harmful if you are below them when they fall. 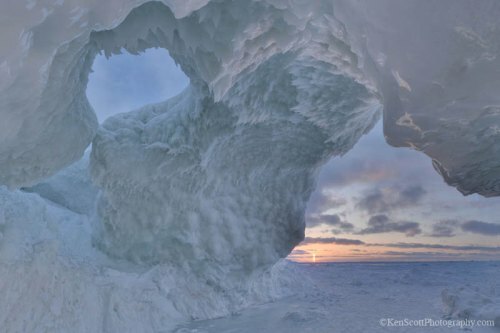 This entry was posted in art, environment, fun, geography, nature, pictures, rivers/watersheds, Science, tourism, Travel, weather and tagged Ice, ice balls, ice caves, ice disks, ice pancakes, icicles, winter. Bookmark the permalink.